Disneyland Resort has announced that, for one low price of $69 at Disneyland.com/PhotoPass, guests will be able to enjoy one full week of PhotoPass service with Disney PhotoPass+ One Week. You still have the option to purchase Disney PhotoPass+ One Day for $39, but this new opportunity guarantees that you’ll never have to stress about blowing a pile of cash on a bunch of photos. Just find a Disney PhotoPass Photographer, and be the star of your own vacation. Pretty great deal, huh? 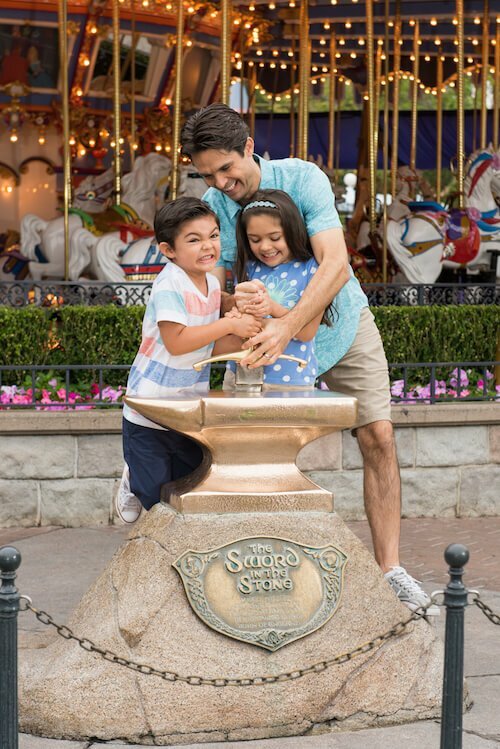 Disney PhotoPass+ One Week includes all your PhotoPass photos linked to your Disney account from a seven-consecutive-day period of your choosing, including select attraction and dining photos, Magic Shots and Animated Magic Shots. So what do you guys think of the new PhotoPass+ service? Let me know what you think in the comments below, and stick with Inside the Magic for all things Disney Parks! Does this mean you’ll get all the photos to keep from the week of your vacation? Or just have access to view them online for one week? I like how the traditional PhotoPass worked, mostly since I’m going to buy the photos anyways, just down the line a bit to save money. The way I see it, for me the only difference “pay now” with the new service or “pay later” with the old service. I like the “30 days to claim” and then another “30 days to purchase” of the older system as well. We’re going next week. If someone contacts me to remind me, I will report back. With our brand new annual passes, we’ll be having loads of fun! I clicked on the link but didn’t see where the PhotoPass + one week was available to purchase. The page in the ilnk only included the + one day option. Am I missing something?? Hi. I’ve bought the Disney PhotoPas+ One Week. Now what? I’ve searched all over and nothing is clear as to the steps after purchasing this.